This winter wonderland will soon be bursting into springtime glory. Hurry and own it for yourself and your family. 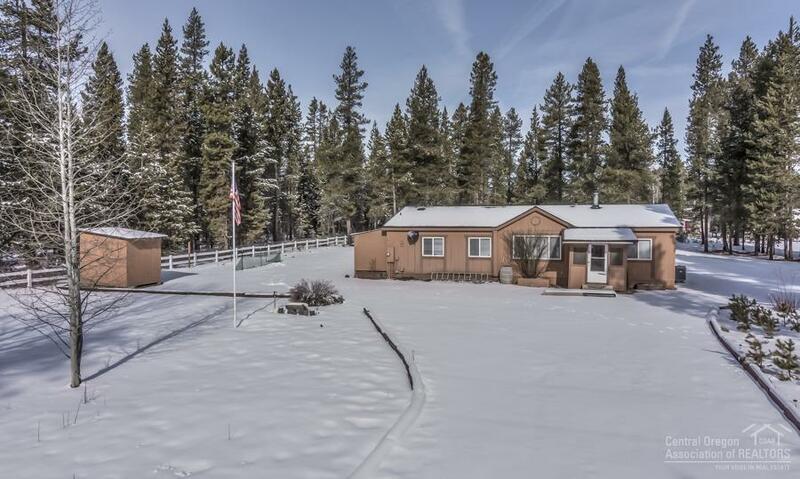 Nice flat almost one acre homesite is treed but home is located in ample open space to provide lots of light and fire protection. 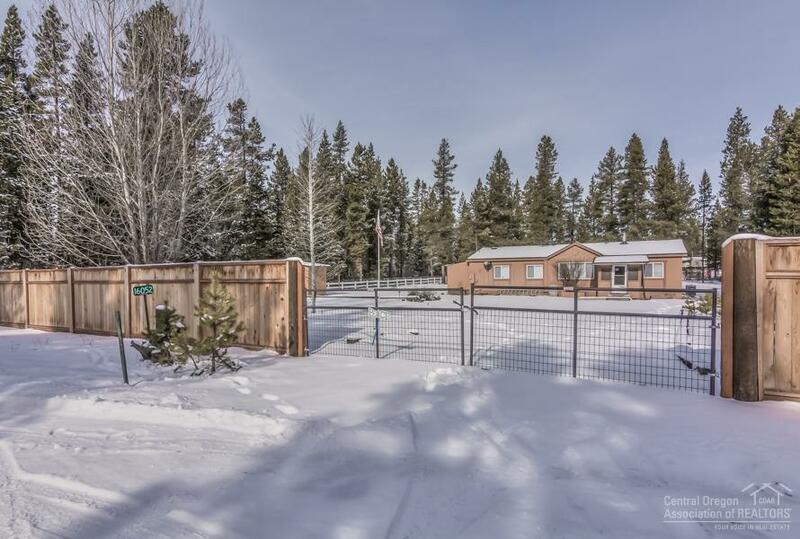 Property is fully fenced and has a gate for privacy. 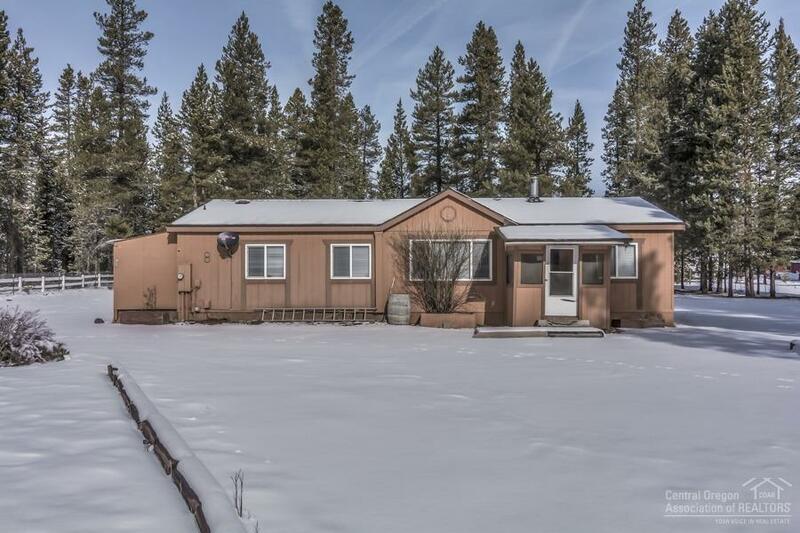 Manufactured home from 2000 has spacious openness. Three bedrooms, 2 baths, almost 1200 sq ft, great room concept makes it live large. 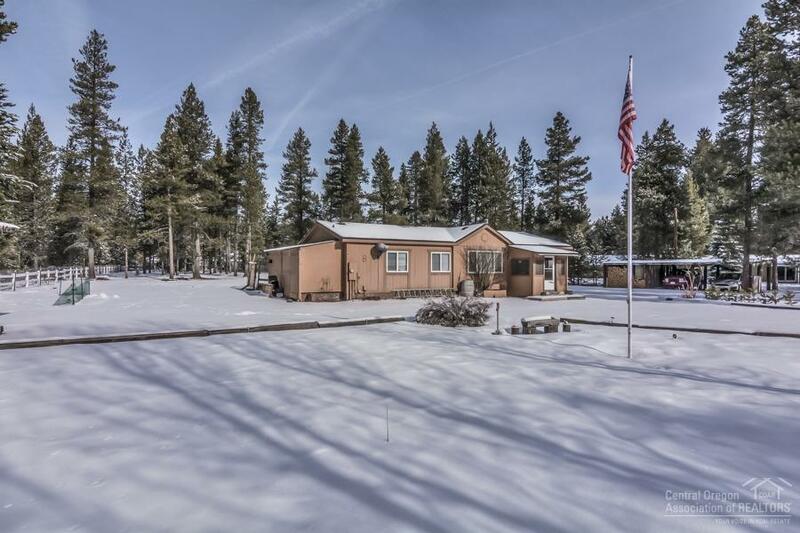 Covered front entry, spacious back deck, and private well make this a great package.